What if we re-prioritize our entire design process to address optimizing energy, water, and waste cycles? While at Woods Bagot, I had the opportunity to lead an interdisciplinary team on the jointly funded Zero E project, a design and process research project with Buro Happold, involving a global effort and pilot design. A mixed use 82 story office + hotel tower anchors the 11 hectare site. 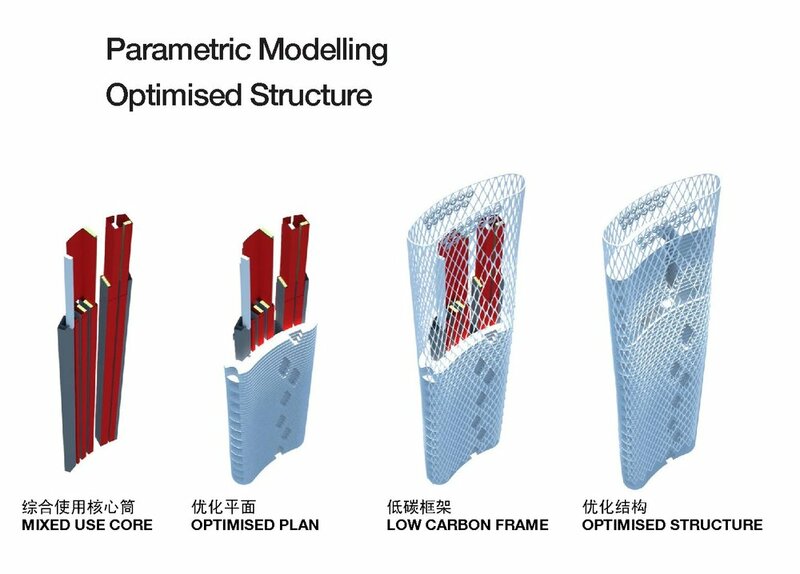 Our research centered on essentially “reverse engineering” a carbon positive tower design, starting with fundamental analysis of energy demand relative to massing, glazing performance, and other systems, as well as embodied carbon in the structural frame. At the building scale, each typology (workplace tower, residential, commercial retail, etc) was modeled with real-time performance feedback, so we could test strategies and understand their effectiveness relative to site-wide systems. We began to see the need for ideas like living systems both as site amenities and pragmatic options in a high rise office space. Indoor air filtering is supplemented by living systems which occur at 3 story intervals, and is combined with secondary gray water processing to reduce overall piping for water re-use. 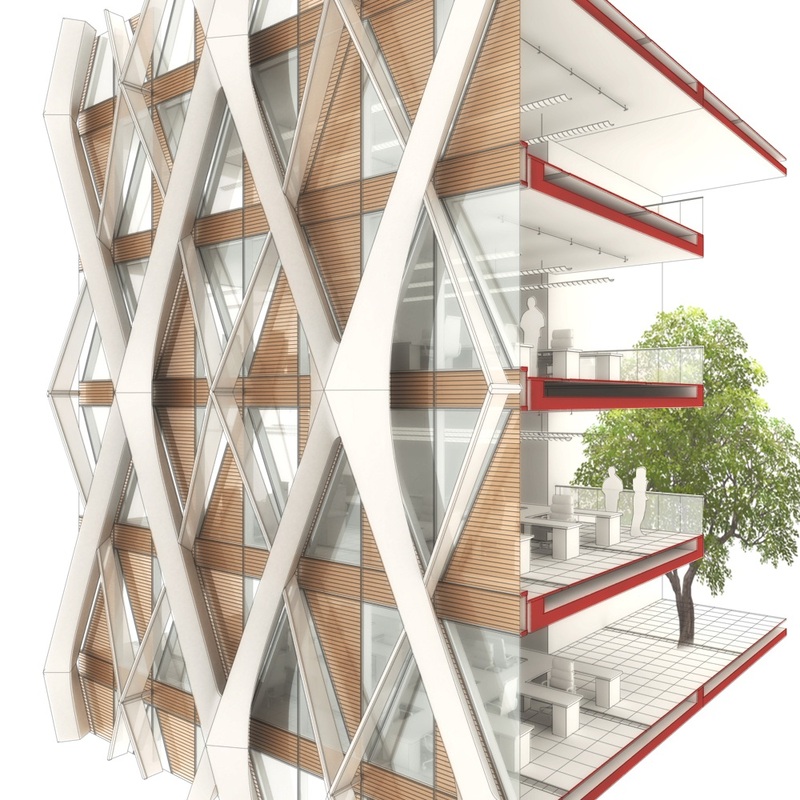 The tower design evolved along a performance driven path, with iterations developed using parametric models , in this case primarily by cooling loads, and to a lesser extent daylighting of the office spaces, while allowing for market friendly lease depths of 9.5 to 12.5 meters.